Walmart is competing with online retailer Amazon.com (AMZN.O) and other rivals to cut the cost of delivering goods over what industry executives call "the last mile" to customers who order online. Ford is in discussions with German automaker Volkswagen AG (VOWG_p.DE) about a possible investment in its self-driving vehicle unit, people familiar with the situation said. 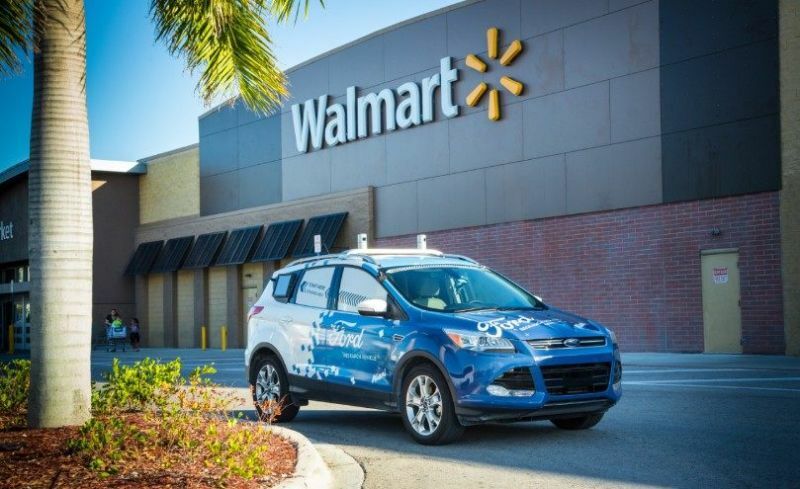 No deal has been announced.Ford has emphasized commercial uses of autonomous vehicle technology, such as goods delivery, in contrast to rival General Motors Co (GM.N), which is working to build a robot taxi service at its GM Cruise unit.